Follow the riverside roustabout on Twitter: @RayTheTwOtter. 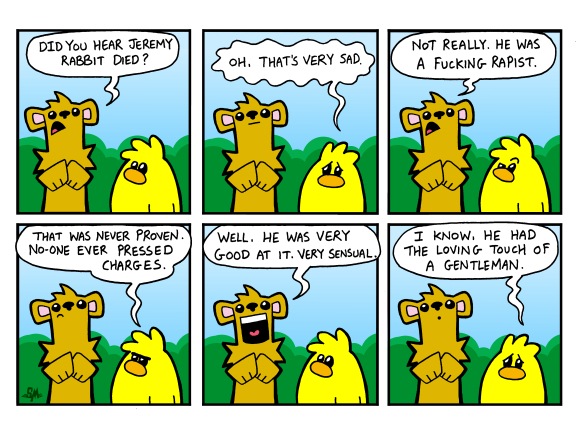 Ray The Otter: Death Becomes Her. 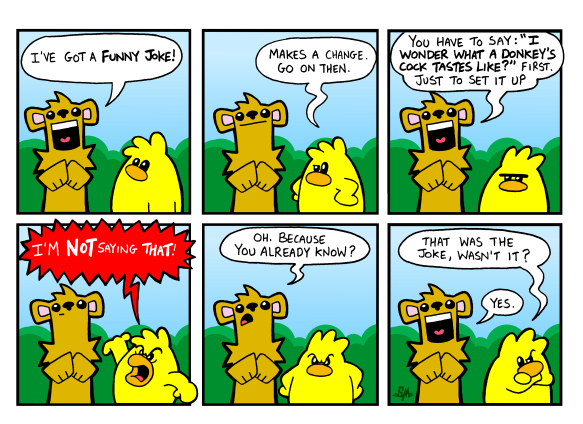 Ray The Otter: Donkey Punchline. 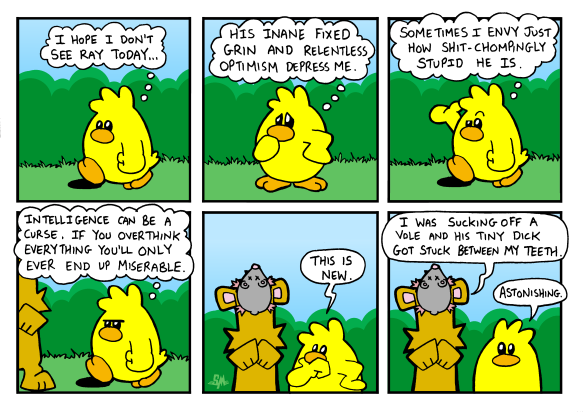 Ray The Otter is an offensive web-comic written and drawn by Stu Munro. 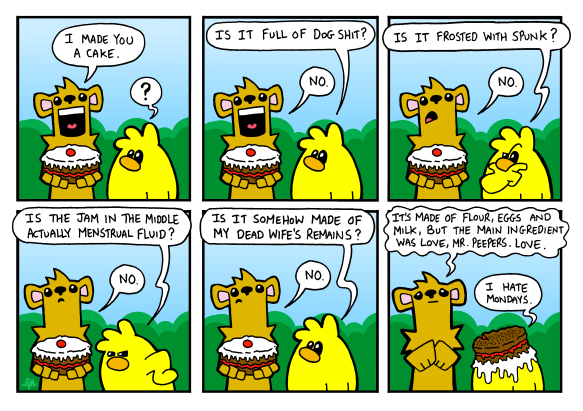 It revolves around the riverside chats between a potty mouthed Otter and his long-suffering bird friend, Mr. Peepers. 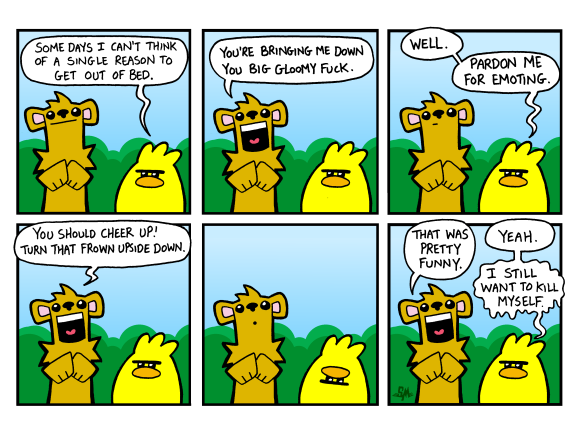 Though the characters rarely move, each panel is pain-stakingly individually drawn and coloured. It takes about 20 minutes. Doesn't play well with others. Draws cartoons for The Beano & The Dandy. Gets angry and pours scorn over the things you love. Follow him on Twitter as @TeenWolfToo he won't follow you back. His interests include Macaroni Cheese, stripey jumpers and Chesney Hawkes. Ray The Otter © Stu Munro 2007 - 2013. 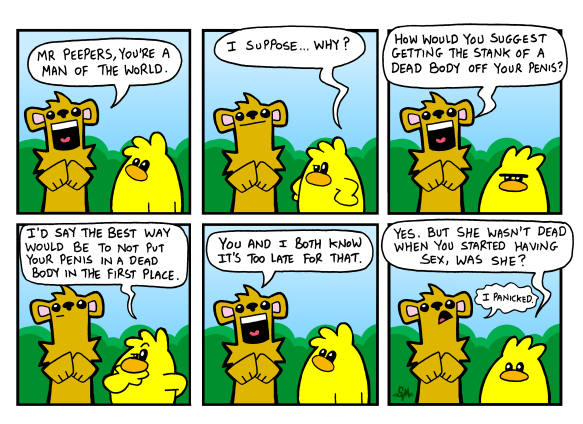 Ray The Otter title by @ArchDoodler. Simple theme. Powered by Blogger.